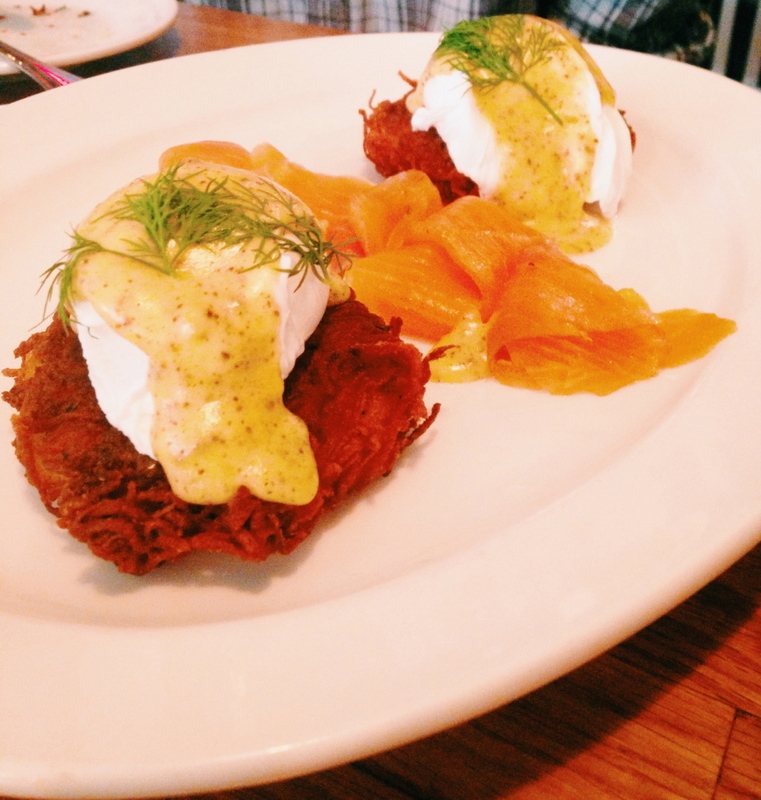 DGS Delicatessen is an old school taste with a new school vibe . Coming from Jersey, we have a lot to be embarrassed of: the turnpike, Jersey shore and an already disappointing football season. However, we also have a lot to be proud of, that being local foods that are hard to find anywhere else. DC transplants have long complained about the lack of real pizza, bagels and most importantly, a really great deli. My recent trip to DGS Delicatessen in DuPont circle has proven that perhaps DC is finally headed toward deli distinction. DGS is definitely a lot more glitz than most Yiddish delis, however it’s modern decor does not compromise the taste and updated flavors of deli favorites. I began with an order of pickled vegetables that took the usual complimentary pickle to a whole new level. They were unique, sour and fresh. After the appetizer, which I paired with a classic iced coffee, I ordered a smoked turkey Rueben. They even offer the sandwich with grilled eggplant for all of you vegetarians. 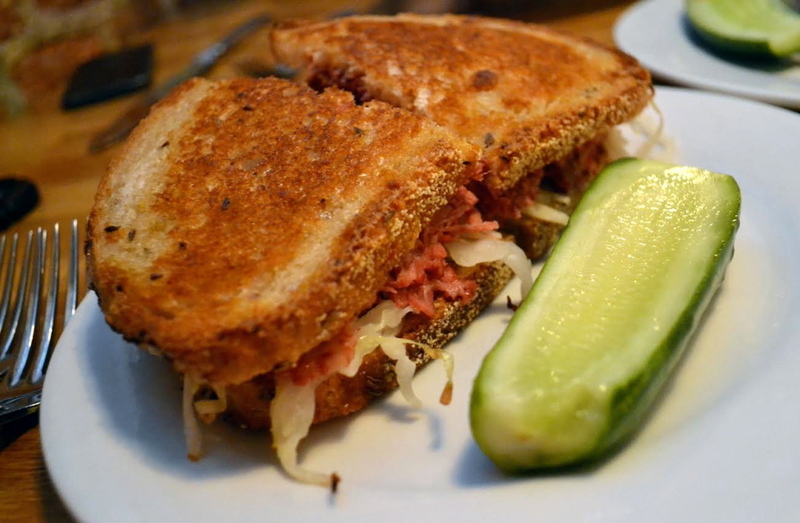 DGS’ Rueben was warm and delicious, perfectly layered with Swiss and sauerkraut in between two slices of toasted rye. Also sampled amongst our table was the eggs benedict, topped with smoked salmon and served on two deliciously toasted english muffins, and, of course, a smoked salmon platter that comes paired with a bagel and other Nova sandwich favorites like tomatoes, onions and capers. The platter was delicious, elevating a classic breakfast through presentation and taste. 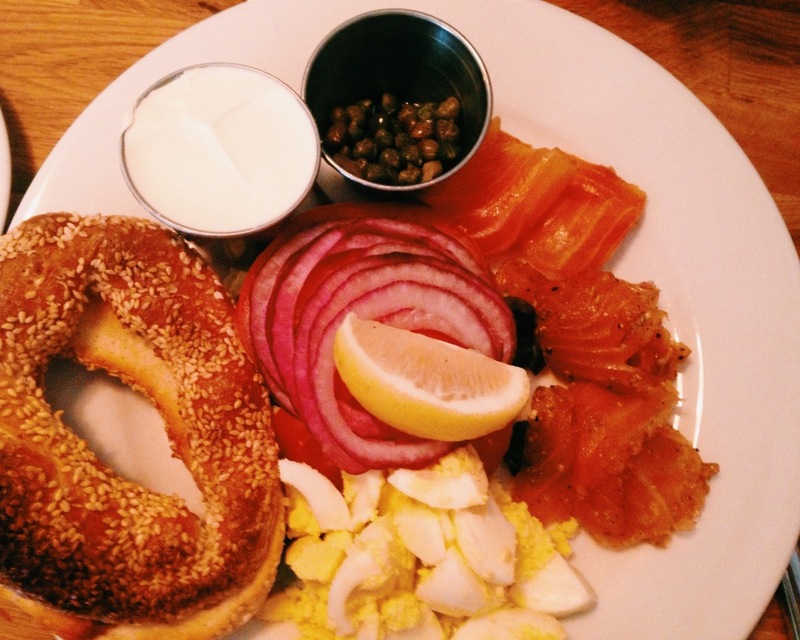 DGS also serves traditional favorites such as matzo ball soup, potato latkes and a whitefish salad platter. A wider variety is offered during dinner and their brunch on weekends consists of 2 courses for $27 and your choice of bottomless mimosas, screwdrivers or bloody Mary’s. Happy hour is daily from 4-7 where small bites are $5, and wine, beer and cocktails are moderately priced from $4-7. If you’re missing some schmear or Bubby’s cooking, DGS Delicatessen is here for you.